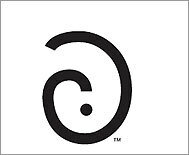 Last week, a Michigan company announced that for the low, low price of $1.99, you could have a lifetime license to use something you might not have thought you needed - a new punctuation mark. It’s called the SarcMark, and its job is to highlight sarcasm in e-mails or text messages. If you’re not sure that your “yeah, right” accurately conveyed “fat chance” instead of “yes, absolutely,” then you might be the perfect customer. The mark looks like a reversed (and somewhat anemic) “at” sign, and in case you didn’t understand how to use it, the company’s website also features a minute-long video of a guy in a superhero suit emblazoned with the SarcMark, who assaults innocent passersby with mean-spirited remarks and a giant SarcMark stamp. It seems as if the SarcMark guys have realized that there’s a whole market of people who are unsure about their writing and, who, at the same time, have to do a whole lot more of it: e-mail, text messages, tweets. So why not offer some reassurance that their jokes will go over just fine? The SarcMark is only the latest and most commercial entry into the small but curious world of alternative punctuation. The best-known example may be the interrobang, a superimposed question mark and exclamation point, used by a few hardy souls as a more efficient way than ?! to express a surprised question. There’s also the deflation point, an upside-down exclamation point, used (mainly humorously) for false enthusiasm: “Why, I’d love to attend your daughter’s dance recital[deflation point]” Alexander and Nicholas Humez, in their book “ABC Et Cetera,” suggest the facetio (a laughing face in profile) to be used to mark the end of a passage of tongue-in-cheek remarks. You might think the SarcMark guys had the sarcasm market all to themselves, but you would be wrong. The humorist and radio host Lewis Burke Frumkes, in his book “How to Raise Your IQ By Eating Gifted Children,” proposed the delta-sarc for this purpose - a character that looks like the Greek letter delta with a dot in the middle of it (it’s sometimes shown with a horizontal line through it instead of a dot). There’s also the snark, or irony mark, also called a zing or a point d’ironie, which looks either like a reversed question mark or like a period followed by a low tilde (you can take your choice, based on what’s easiest for you to type). The snark, sadly, is much more frequently discussed than used - and is not to be confused with the percontation point, which also looks like a reversed question mark, but which dates from the 1500s and signals a rhetorical question. The only alternative punctuation marks in widespread use today are, of course, the emoticons, which can be as simple as :) and as complicated as a tiny animated icon (which no one over 14 actually likes, so, please, knock it off already). But a bigger problem is that all these fancy symbols indicate something beyond a feeling - they can signal a lack of confidence in your own writing (much in the same way? that ending every sentence? with an upward intonation? does when you speak?). They’re like training wheels for expression. They do have uses - I’m a fan of the smiley and frowny emoticons myself, because I like to kid myself that they add long-letter friendliness to the short e-mails that make up the bulk of my daily communication - but with apologies to the SarcMark folks, I’d suggest that sarcasm might be the worst candidate for a special expressive mark. One of the reasons to employ sarcasm is enjoying the possibility - often, the probability - that your sarcastic remark will sail right over the target’s head. In fact, if the whole enterprise didn’t seem so dreadfully earnest, I’d be willing to bet that the SarcMark is a hoax, a conceptual art project of some kind, showing that we’d rather spend two bucks on a “get off the hook free” mark than 10 minutes making sure that what we wrote was really what we intended to say. So could I be enticed, bullied, or forced by the weight of public opinion to start using the SarcMark, should it catch on? Uh, yeah, right. You betcha. Suuuure. Erin McKean is a lexicographer and founder of Wordnik.com. E-mail her at erin@wordnik.com. For past columns, go to www.boston.com/ideas.